Conversion is pretty much the Holy Grail of digital marketing, that utopian goal we all strive for, but only the best achieve. Increasing your conversion rate is fundamental to increase your return on investment and make the most of your digital marketing budget. Luckily, we are constantly given more and more information on how to convert more. 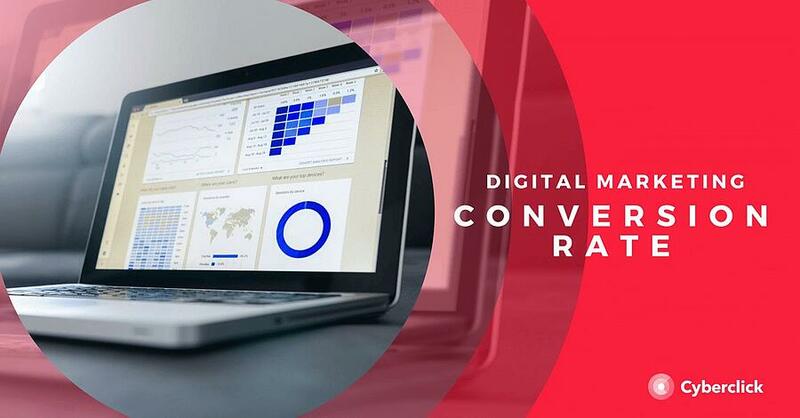 Today I would like to give you 10 tips to increase your conversion rate in digital marketing, and tell you when and how to use them to optimize your results. If you want to convert, you have to dig up your most scientific self and get to work. Think of every element of your campaign and their possible variations: email subjects, images, copies, etc. Then, subject them to rigorous and controlled testing with A/B and A/B/C tests. With some rigour and consistency, you will be able to make your digital marketing efforts more and more effective. Heat maps let you get to know every detail about your users’ behavior when navigating through your page. Which elements do they pay most attention to? Where do they get tired of your page? Are they systematically ignoring your CTA button? Information is power! To be successful, any conversion strategy needs to rely on a solid lead generation campaign. In many cases, this involves filling in some sort of form. You may think designing a form is simple and obvious, but your couldn’t be more wrong! The number of fields, the wording of the button, the colors, … these are just a few of the elements you will need to optimize and study to get the best results. Don’t forget to include some automatic filters to help make sure the data you are being given is valid and real. Quality before quantity! Do you want users to communicate with you? Make it as easy as possible for them. Each person has their own communication preferences, and what may be simple and intuitive for some, may be extremely frustrating for others. To make sure you are available for as many users as possible, be available through all sorts of communication channels: by phone, form, chat, etc. Calls to Action are one the most crucial elements in digital marketing, as it is often up to them to convince users to take the action we want them to. To improve your conversion data, you need to include links, images and animations that effectively bring people to conversion. And, of course, don’t forget to run A/B tests to guarantee their efficiency. If you want to get conversions in the long term, you need to gain your users trust. Communities are a great way to do this. With them, your potential clients will be able to develop a long term relationship with your brand. Additionally, this strategy also helps to create User Generated Content. Social networks are a fundamental piece in any online marketing strategy, but there is no use in creating corporate profiles if you don’t plan on having a content plan and coherent strategy. If you want your brand’s social profiles to help you convert more, you will need to seamlessly integrate them into your communication. “Accelerators” are one of the oldest tricks in the book in terms of digital marketing, but it is for a reason! Offers that have “Last chance” or “Limited availability” and a strong statement that give users the extra push they need to convert NOW. Use them wisely and in the right moment and you will see how they affect your conversion rates. Content Marketing and Native Advertising are just just a passing trend, and they prove themselves over and over everyday. These strategies help you attract quality traffic made up of users who are interested in your products, brand and sector, so be sure to use them! By now, you have absolutely no excuse for your campaigns not to be completely responsive. Mobile devices are already responsible for the larger part of internet traffic, and will only keep growing. If you do not want to miss out on a large amount of potential clients, you need everything you have to be prepared for a perfect viewing, whether on a smartphone, tablet, desktop or any device. When should I use each one? TOFU (Top of the Funnel). This is the moment to promote awareness of your brand and existence, and the problem you deal with. Here, you can reel in your potential clients with display campaigns adapted to their needs and preferences, video ads on social media and useful content that answers their needs. MOFU (Middle of the Funnel). You goal here is to show people how to make a decision. Make the most of your best A/B testing tools to improve your email marketing opening rates and CTRs, use lead generation features on social media and make the most of retargeting with your users’ behavior data. BOFU (Bottom of the Funnel). In this third phase, it is time to explain why your product or service is the best option. SEM strategies (don’t forget to include complete information on your landing page), on page SEO techniques and social ads (use lookalike audiences to improve results) are a great help in this area. All throughout the funnel: mobile optimization and affiliate marketing are your allies during the whole process. I hope these ideas have inspired you to improve your digital marketing campaigns and excel with your conversion rates! For many marketers, increasing conversion rates is their strategy’s number one goal. Nevertheless, all too often we are the one limiting ourselves by using quick fixes and patches instead of dealing with these problems from their very roots. Interested in knowing how to solve your sales conversion problems for once and for all? Keep reading! And by “budget” I don’t just mean money, but time and resources also. Sometime as marketers we make the mistake of focusing all our efforts on media, events and other lead generating activities, but these will be much more effective if our website has been optimized. Believe me, it’s worth the investment! What do you want your company to be known for? Your products, for being an expert in certain areas, for offering solutions…? And more importantly, how do your users find these answers? The first step is to think about these two questions, and make a Top 10 list of keywords under which you want to appear in Google, and see your results. The truth is that you are most likely not yet in your ideal ranking for all or some of the Top 10 keywords you chose in the previous step. But you can start improving your sales conversion straight away by investing in AdWords for these keywords. By using SEO and SEM, you will be able to attract many more visitors to your page… but once they’re there, you need to make sure they can easily find what they are looking for. To make sure this is the case, go through your current content to see if they follow these rules. Relevant: is it up to date? Does it relate to your audience’s interests? Is it useful? Accessible: Is it easy to get to? Take a look at your website’s analytics to see what “forgotten content” you have and why this happened. Glanceable: Is it easy to figure out what it is about and the main ideas at a glance? Read through your website’s content and be honest: is it written for your target audience, or does it use your company’s internal language? In order to improve your sales conversion you need to be able to create messages that truly speak to your audience and that will encourage them to keep visiting and reading. This can be a very long and almost painful proces… but I promise you it will be worth it. The idea is quite simple: go through all the content you already have and edit it in order to make it as attractive as possible. For example, if you have long videos, turn them into a series of 2-minute-long mini videos. If your articles are more than 1000 words long, use them as a base to create infographics and checklists. The idea is to make your content as visual and absorbable as possible. When you’re done, build some content creation guidelines, to make sure that all the new material you create is up to scratch, avoiding having to repeat this process in the future. Do you know how your users navigate around your website? It’s time to find out! Use tools specialized in UX to see exactly what a user’s experience in your website is like, and improve whatever you find necessary. A/B tests are your new best friend. For any change you are thinking of applying to your website, create a test page and study the results. Don’t pay attention only to the number of visits, but more importantly metrics such as the session duration, the bounce rate and of course, the sales conversion rate. You’ve followed all these steps and are on the right track - but you don’t want to make the same mistakes again! In order to avoid history repeating itself, teach your whole team (current and future) how to create attractive and optimized content. If you can show them data and statistics to back up these results and decisions, even better. Does all this sound like a bit too much? I’m not going to lie: it’s not easy! If you don’t have enough people or time to invest in this, or if you simply don’t feel like doing it yourself, hire someone who can help you. The idea is to get two processes going at the same time: Lead generation on the one hand, and improving your website on the other. Define realistic goals, measure your results and watch your sales conversion rates soar.